Home > Ask Our Experts > What Are Survival Seeds? Q.Due to rumours of Agenda 21 coming into force worldwide by 2009, I'm particularly concerned for my family and was wondering if you know anything about survival seeds that will offspring more of their own seeds again? I think it's called a hybrid seed or something. It’s the exact opposite to hybrid seeds that you should be looking to cultivate to help you survive if the going was to get that tough. Hybrid seeds result from the breeding of two different plants with the aim of producing a more economically viable plant. Furthermore, as you’re no doubt aware, hybrids have come to the fore even more these days with consumer tastes dictating that we want to buy ever more exotic produce from plant species that aren’t naturally produced here in the UK. Therefore, hybrids are used as they tend to have a longer shelf life which is important for the likes of supermarkets who want fresh produce such as fruit and vegetables to look their best and to last on the shelves for longer when they may have travelled from thousands of miles away overseas. This is one of the reasons why we’ve all become accustomed to hearing about the term ‘genetically modified’ or ‘GM’ crops. However, the problem with hybrid seeds is that they are rarely stabilised and, therefore, are unable to produce enough available seed of their own. This forces farmers and other food producers to have to buy new seeds each year. Another fact which should concern you is that for every pound of non-organically grown food which is eaten, it’s estimated that around 6 pounds of soil which can be used for farming is lost due to wind and erosion which comes about as the result of these kinds of farming practices. Therefore, the seeds you should be looking to buy are non-hybrids, heirloom and open-pollinated varieties and not hybrids. There are many stockists of these kinds of seeds online. Basically, what you should be doing is focusing on growing the basics – lettuces, cabbage, beans etc., then allowing a few plants to go to seed and then saving that seed for your next crop. None of us can predict the future. We’re all only too aware of certain disasters caused by climate change in terms of whole communities being wiped out because of hurricane force winds and floods, the frequency of which seem to be getting even more common. By having seeds which you have harvested and kept, this means that should you ever be faced with a survival situation which means you have to relocate, then with the non-hybrid seeds you have collected, you can start growing food such as tomatoes, corn and peas again. Where are the Best Places to Find Flint? Where Can I Try Out my Survival Skills? The other evening, I found all my matches were damp and I had to ignite my wood burning stove using a rolled up piece of paper and my electric grill. If there had been a power cut, how could I have lit the stove ? I heard that people in a wilderness use a magnesium block. Then I read that burning magnesium gives dangerous ultraviolet radiation. There is a kind of heavily tinted glass used to view electric welding in progress. Someone who knows about protecting the eyes from harmful UV rays might be able to advise. The best way to start the stove in my view would be to have steel wool stored in a jar to prevent rusting and a 9 volt battery. Another way is to invest in a fire piston that relies on the heating of air that is suddenly compressed to 1/25 of its volume or thereabouts. 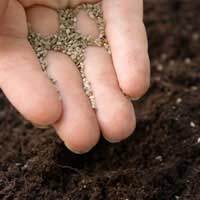 On another topic, I am interested in where naturally grown seeds can be sourced, That is seeds from the first and subsequent generations of plants which can be used again time after time. Hybrid seeds, I understand are absolutely useless as a source of fresh seed. I heard that Himalayan Balsam seeds and leaves are perfectly edible and would therefore regard Himalayan Balsam as a most desirable " weed " to be allowed to spread everywhere that is not in cultivation, as a forage crop. In that case why are some people so anxious to rid the country of Himalayan balsam ?